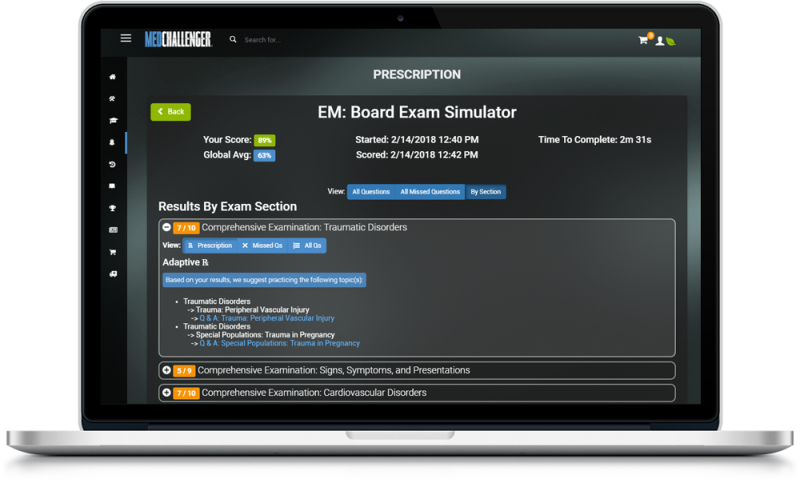 Pass your MOC Recertification board exams with Med-Challenger’s Physician MOC Exam review courses and practice question banks. Specialty content and questions for MOC recertification exams are compiled by board-certified medical specialists who have prepared for and taken the Maintenance of Certification (MOC) recertification exams. Prepare for both core and optional modules that are typically required as part of the Cognitive Assessment Part of the recertification process. Select your specialty below to get started. Online CME course activities provide AMA PRA Category 1 CME credits™ as well as specialty credits (varies by product). For Nurse ANCC, AANP, and Pharmacology CE credits, see our Nursing section. For AAPA Physician Assistant CME, see our Physician Assistant section. How to Pass Your MOC Recertification Exam? Purchase a Med-Challenger MOC Recertification online program in your specialty. Retake exam simulations to improve your predicted score. Study by topic or create your own exams to tidy up. Go into your exam confident, ready, and outperform. 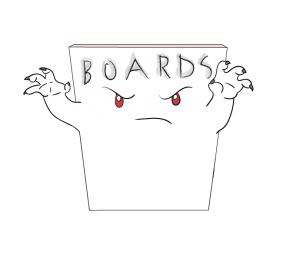 Simulate the board recertification examination instantly, while taking Q&A in the right subject areas and in the right amounts, everytime. Our adaptive learning engine prioritizes missed and yet-to-be-seen content so you get every ounce of value from your review purchase. You also won’t waste time on questions you’ve already mastered. 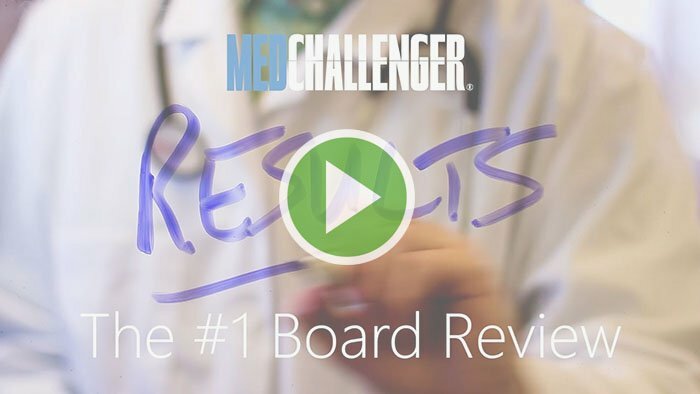 Med-Challenger’s adaptive board review will detect any weak areas of knowledge and automatically supply focused, “deeper dive” remediation in those areas. You’ll know exactly where to go and what to do next every step of the way. Great for super-fast self-assessment – exams or not. 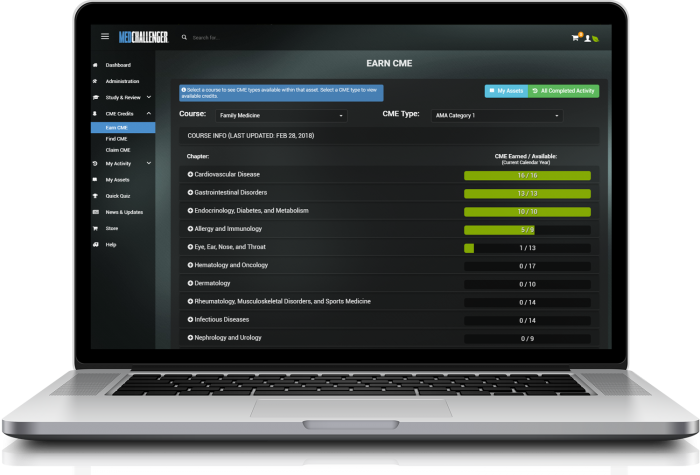 Use our comprehensive simulators, study by topic, or create your own exams. 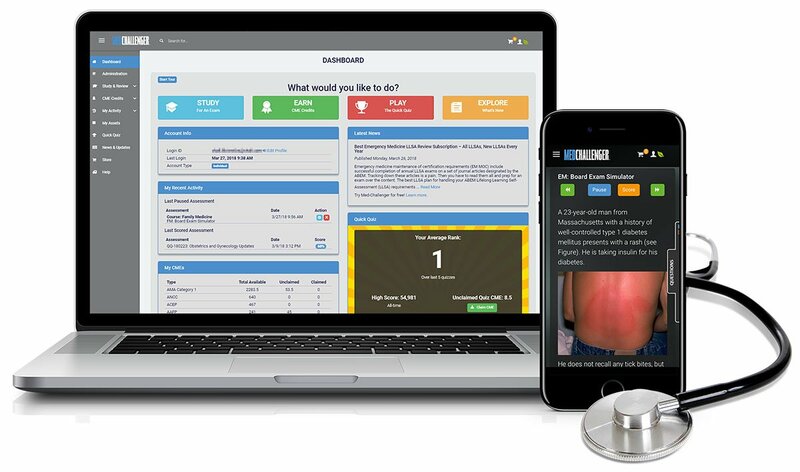 All materials are continuously updated and give you a way to refresh your clinical knowledge throughout your career. 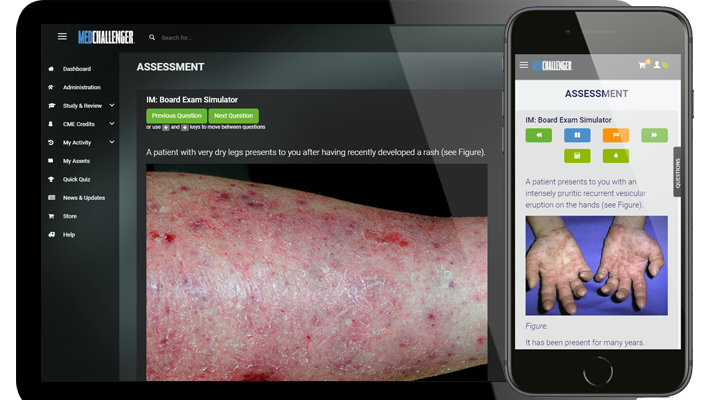 What’s more, you can earn CME credit while you self-assess. There’s a reason why Med-Challenger is the #1 choice for recertification exam review, CME credits, and lasting career convenience.